A group of photographers and historians has come forward in support of the McCord Museum and its plan for a new home downtown. They are calling on the mayor and premier to find a suitable plot of land in the city core so the museum can display its sizable collection. The move comes after Montreal Mayor Valerie Plante decided to take land promised to the museum and instead push forward with plans to turn it into a park. The site is at the corner of Bleury St. and de Maisonneuve Blvd. 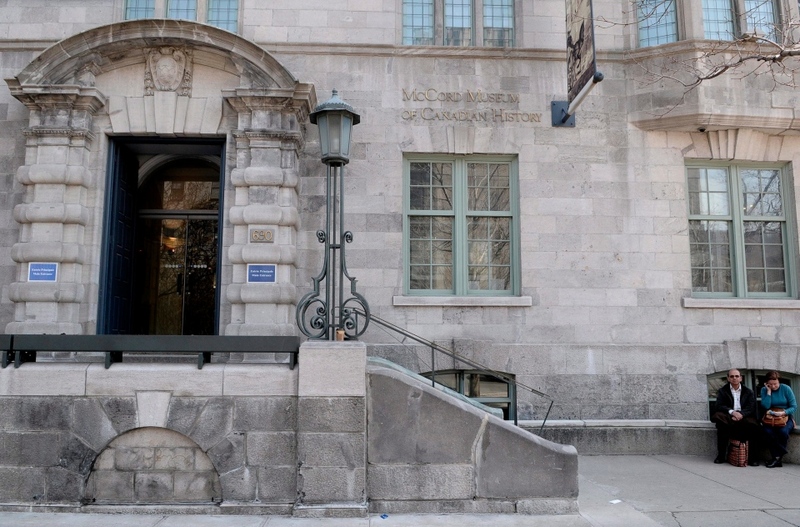 McCord Museum only exhibits one per cent of its artifacts due to space limitations at its current location at 690 Sherbrooke St. West. The museum’s attendance has tripled and it wants to move to a larger building in a central area close to public transit. “We had done a study in Montreal to select a site and we had one, La Place Eugene-Lapierre, which is at the corner of de Bleury and de Maisonneuve. It's a parking lot right now. The previous administration of the city, mayor Coderre had reserved us the spot for the last six years. We surprisingly learned that the new administration had decided not to reserve the space for us, but to do a park there,” said Suzanne Sauvage, president and CEO of the McCord Museum. Sauvage also said the city has since suggested two other sites, but the museum would need the financial support of the province to move forward. Montreal April 18 2008. McCord Museum of Canadian History downtown Montreal. THE CANADIAN PRESS/ Graham Hughes.